CanExport | Exporting Grants Canada | Mentor Works Ltd. The CanExport funding program provides Canadian government grants to support export marketing projects including participation in trade shows and government-led trade missions. By accessing additional funding for these types of activities, businesses can de-risk export market evaluation and development, ultimately helping to accelerate international growth. Through CanExport, Canadian businesses may access up to 50% of costs associated with export marketing projects to a maximum $50,000 per application. The program provides funding for up to 1,000 businesses per year to support new export marketing strategies. To be deemed eligible, companies should be a small or medium sized business (outside the agri-sector) with 1-500 payroll employees, maintain annual revenues of at least $100,000, and have at least $20,000 in project expenses. Program Overview: What is CanExport Funding? The CanExport program is a popular Canadian government grant that supports businesses as they explore/expand new and under-developed international markets. The export grant is specifically designed to help firms participate in trade shows where company representatives travel to an export market and meet with potential customers. Through these projects, Canadian companies can more aggressively pursue export market development projects and drive greater revenues from customers outside of Canada. Through the CanExport program, companies may access up to 25-50% of trade show costs to a maximum $50,000 per project. Up to two applications can be submitted per government fiscal year. As companies begin exploring the CanExport funding program, the most critical element to consider is the market where your trade show is taking place. CanExport only supports trade events in markets where the applicant’s sales have been under $20,000 or less than 10% of total international sales over the previous 24 months. If you’re still considering which trade show(s) to access using this program, explore Mentor Works’ curated list of top trade shows and events over the coming 6-12 months. Alternately, if you wish to find your own trade shows, this resource on trade show databases will be helpful. Be financially stable and able to pay all project expenses not covered by the program. Promoting Canadian investment or seeking economic immigrants. Consulting fees for business-to-business (B2B) matchmaking services. FAQs for CanExport Grants: If you still have questions after reviewing the CanExport overview and eligibility resources, this blog may be helpful to fill in any remaining knowledge gaps. CanExport Update: 2018 Program Enhancements: In 2018 the CanExport program restructured the way it provides export expansion funding. Companies can now apply multiple times per year, accessing up to $50,000 per application. More export markets are also eligible. CanExport Update Expanded Eligibility Criteria: With a top-up in funding from Canada’s federal government, the CanExport program has expanded its eligibility criteria to make even more employers eligible. Trade Shows to Use CanExport Funding For: Ready to use CanExport funding for a trade show in 2018? Explore international trade show opportunities for which your business could access exporting grants. To access CanExport funding, Canadian businesses should start by finding a trade show or export event in a market where they have earned little to no revenues in the past 24 months. It can take some effort to find the right opportunity, so use the resources listed above if you’ve yet to find the ideal fit for your objectives. Application forms can be accessed online; completed applications are approximately 8-10 pages in length, plus supporting documentation. 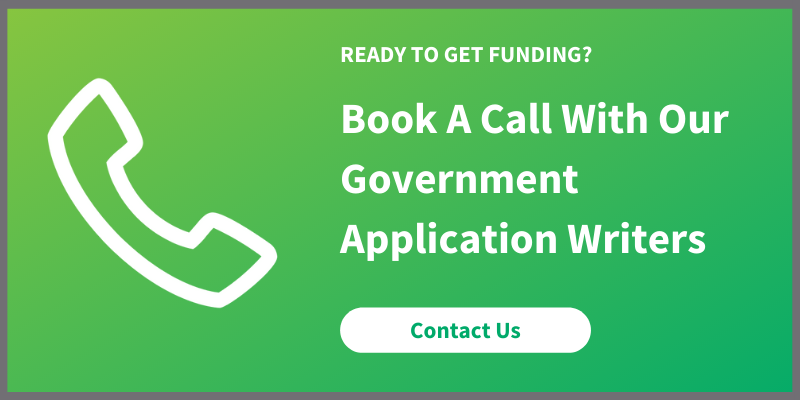 Funding applications should be submitted at least eight weeks prior to incurring project expenses, which requires companies to start the application process well ahead of traveling to international markets. Expenses incurred prior to program approval are not eligible for funding. Companies receive funding by submitting claims to the program once eligible expenses have been incurred. Claims are typically processed within 20 days. History and Export Readiness: Previous success in export market development projects, including any projects previously funded by the government. Considering how CanExport can support your upcoming project? Contact Mentor Works to evaluate whether your project is a good fit. Our team can help you align your upcoming project for CanExport funding and streamline the application process with time-saving info collection documents and a dedicated team of writers. Posted: January 8, 2016. Updated: December 19, 2018.